October 3, 2014 The Catskill Mountain Club is excited to announce the Catskills All Trails Challenge. If you needed a new excuse, uh “reason”, to go hiking in our beautiful Catskill Park, here it is! For many years our friends at the Catskill 3500 Club have offered an incentive to share in the joy of climbing each of the Catskill peaks that stand more than 3500 feet high. Thousands of hikers have taken that challenge, met the requirements and been thrilled with the experience. Now the CMC is offering an opportunity for a different kind of Catskills hiking accomplishment. The new Catskills All Trails (CATs) patch will be awarded to individuals who successfully hike all of the 87 designated hiking trails in the Park, totaling 349.3 miles of trails. Upon completion, hikers will be awarded a Certificate of Completion, recognizing their accomplishment. They will also receive a Catskill Park All Trails patch and shirt to commemorate their feat. But more than anything, they’ll come to know and love all that the Catskills offer to those who enjoy the great outdoors. The CMC is proud to encourage hikers to explore all parts of the Catskills. Indeed, one of the club’s most important goals is to expose the public to the tremendous hiking in our region, whether to the summits of the high peaks, on the many smaller mountains that offer equally spectacular and sublime views, or in the hollows and valleys with their streams, waterfalls and ponds. Every part of the Catskill Park and region holds great hiking experiences for hikers of all interests and abilities. This new award will honor the most intrepid hikers for their efforts exploring all that the Catskill Park has to offer. Really, what better excuse do you need? Whether you’re a day hiker or a backpacker, to get started simply go to the CATs page on this website, download the list of trails, grab your boots and gear and GO! CMC Long Sleeve Moisture Wicking Tees, Just in Time for Fall Hiking! Show your support for the CMC in style! The CMC’s gear selection has grown to include our very popular moisture wicking tees in a new long sleeve version. We’ve also added some new short sleeve colors, so check those out too. Same great performance and quality at a very affordable price! Look for them at the CMC’s 10th Anniversary Dinner during the Catskills Lark in the Park, Sunday October 12th at the Catamount Restaurant in Mt. Tremper. You can also purchase CMC gear online. All prices include sales tax, shipping and handling. As a founding partner of the Catskills Lark in the Park, the CMC takes great pride in the wealth of various outdoor activities offered each year to recreational enthusiasts during this great celebration of the Catskill Park’s founding. These events are led by volunteers from many organizations that regularly organize outings in the Catskill region. Many are led by CMC members. Together with our partners, the Catskill Center, the New York/New Jersey Trail Conference and the NYS DEC, we look forward to seeing you out and about in the Catskills this year from October 4 through October 13. Come for one event or for 10 days full of activities. Pick your pleasure from hikes, paddles, cycling trips, natural and cultural explorations, educational events and more – truly something for everyone! After the Lark, regular CMC scheduling will resume. August 30, 2014 – The Catskill Mountain Club opened the newly constructed Delhi Trails on Saturday, August 30. The well attended ceremony was held at the trailhead in the Immanuel Lutheran Church parking lot on SR 28 in Delhi. Amy Beveridge, project coordinator and CMC board member, welcomed the crowd and thanked several community organizations and property owners for their support in making the new trails possible. The Delhi Trails were built on lands that belong to the Delaware Academy Central Schools, to the Village of Delhi and to the Immanuel Lutheran Church. They were built with the assistance and financial support of the Town of Delhi, the Bassett Healthcare Network O’Connor Hospital, the Cornell Cooperative Extension of Delaware County, the Rural Health Alliance, the Catskill Ladies Association to Support and Inspire (C.L.A.S.I.) and by SUNY Delhi. Many individuals came out to help with construction, and their efforts were greatly appreciated by all. After the brief remarks, the crowd headed out onto the trails for an inaugural hike. The weather was perfect and so were the trails as nearly 40 people enjoyed the beautiful woods, cliffs and views. The three trails, two named for characters in the novel My Side of the Mountain by Jean Craighead George and one in honor of the Delaware Academy mascot Bulldogs, together cover about 4.5 miles and offer the option of shorter hikes of varying degrees of difficulty. The longer Gribley Trail crosses the mountain ridge above the village in a little over three miles. The Bulldog Run can be combined wih a section of the Gribley to create a loop hike of over two miles. And the Frightful Falls Trail is a short connector, the steepness of which makes its name seem appropriate. For more information about the trails, including maps, visit the CMC website at catskillmountainclub.org. And please consider becoming a member while you’re there. Your support will help with our work to improve outdoor recreational facilities and access in the Catskills. The NYS DEC has decided to implement a new bear hunting season in the Catskills. The early season begins September 6 and runs until September 21. This additional hunting season coincides with one of the most attractive and busy hiking seasons in the Catskills. Because plants continue to be fully leafed out, visibility will be more difficult for all concerned and extra caution is important. The CMC urges all hikers to wear blaze orange caps and/or vests when hiking. It is advisable to hike in groups in order to increase visibility and draw attention to your presence in the woods. Be observant, be careful and be safe. The Catskill Mountain Club News for Summer 2014 is here! August 12, 2014 – The Summer 2014 CMC News is chock full of interesting news and information. Learn some valuable tips for taking that perfect photograph on your hike. 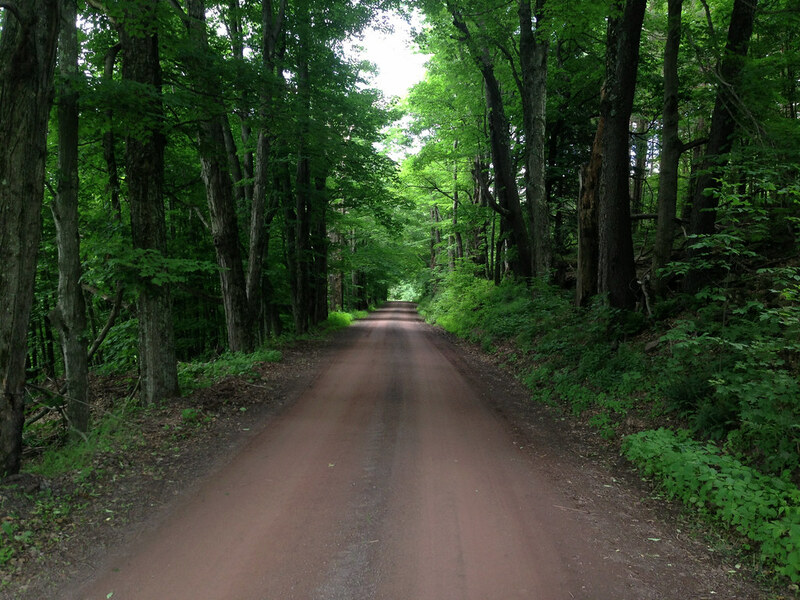 Find out about the Finger Lakes Trail and its 90 mile plus route through the Catskills. Read about how to have a good time hiking while improving your physical fitness (yes, even couch potatoes can hike)! Check it out here. Did you know that you can get the CMC News sent to your inbox for free? We’d love to have you join the club, but if you’d like to give it a test drive first you can sign up for the newsletter and our announcements via email here. Just provide your contact information and check yes for “Send Me All Event Announcement Emails”. You can unsubcribe at any time by clicking the link at the bottom of the announcement. June 9, 2014 – We woke up to a lovely day on Saturday, National Trails Day. And that wasn’t half as good as the rest of it! Over 50 people assembled at the trailhead of the brand new Palmer Hill Trail to celebrate our work and new prize. After a brief ceremony featuring remarks by Andes Town Supervisor Marty Donnelly, NYC DEP Recreation and Property Manager Charlie Laing and CMC President Rick Roberts, we had some refreshments, congratulated one another on a great partnership and its beautiful product and headed off for one of our more satisfying hikes in quite a while. The Palmer Hill Trail consists of three segments that can be hiked in four distinct combinations, allowing hikers the options of short and easy hikes or moderately strenuous and longer hikes. The hiker can make complete routes of 1.2, 2.2, 2.7 or 3.7 miles. Each takes you through beautiful wildflower meadows that offer wide open views of the surrounding mountains and hills and of the bucolic scenery that Delaware County epitomizes. Along the way are centuries old foundations, a lovely stream and age old trees. In season, there will be blackberries and apples galore for the hungry hiker. And in winter the cross country skiing will be a dream come true. The importance of this partnership between the DEP and the CMC is hard to overstate. With the help of the Town of Andes, we have collaborated on two new trails on DEP lands in less than a year, having opened the Shavertown Trail on August 30 of last year. Later this year we’ll open a trail on Bramley Mountain in the Town of Delhi. And there will be more to come, including one on the south side of the Ashokan Reservoir in Ulster County and, eventually, in both Greene and Sullivan Counties. By making these properties available for public recreation, without fee or required permit, the DEP has made an important commitment to the needs of the residents of the Catskills. The benefits to the health and economies of our communities are already being felt. The CMC is thrilled to have an opportunity of this magnitude to work towards the success of our mission of promoting non-motorized outdoor recreation that is sustainable and environmentally responsible and that benefits the physical and economic health of our local communities. The Palmer Hill Trail will be a destination for those who love the Catskills and want to experience them as never before. So come out and enjoy the views. And, if you don’t already know, see one of the finest panoramas of the Catskill High Peaks anywhere. I won’t tell you where to look for it – come find out for yourself! See video of the opening here. Thanks to Jessica Vecchione. Many hikers and passers-by notice the signs that point us to the fabulous hiking trails that dot our fair Catskills. Most don’t think to ask how did that get here or who put that there. The truth is that the construction of new trails is an enormously labor intensive project – volunteers (yes, you read that correctly) spent well over 400 hours planning and building the new Palmer Hill Trail. So with that said, I would like to extend an equally enormous thank you to those volunteers. They are truly deserving of thanks from all of us who hike and from those who understand the importance and ways of being good stewards of our natural resources. Their efforts benefit our personal health, our community health and our environmental health by giving us a chance to get out and experience the great outdoors. How better to learn? Let me also invite you who are appreciative of this gift to join with us in the unending task of maintaining the Palmer Hill Trail and others in the Catskills, both those that the CMC has built and those that were given to us by previous generations of dedicated and generous hikers. You will be passing something of great value on to future generations.